Are you considering switching your old single home windows or double glazing in an attempt to keep warm and reduce bills together? With Quotatis it is possible to do a comparison of approximately 4 companies for the best deal in Surrey. Upvc double glazing is amongst the most popular insulation strategies homeowners can take advantage of. The simple framework is two panes of glass divided by an efficient gas spacer. This spacer, commonly Argon, Xenon or Krypton, is still so heat can't move through and escape the property. Consequently, heat is instead kept in the house, keeping you warmer throughout the year. In the same manner, throughout the hotter summer months heat is kept out of the property, making sure you're cooler. Due to this, you're in the position to lower heating bills by approximately £200 each year. The environment benefits are also rewarding. Because there's little need to turn up the central heating boiler heat, less carbon dioxide emissions are created and emitted into the environment. To start benefitting from efficient windows and reduce your heating bills every year, complete our online form and check quotes from approximately 4 reliable double glazing firms. The south east English region of Surry features a population of little over 1.1 million, sharing borders with a number of other counties including Kent, Hampshire and Sussex. The county has taken on much of the overspill from London and due to its moderate land area the county carries a population density of 1,760 individuals per square mile. This is divided into 11 key boroughs, including Guildford, Woking, Elmbridge and Mole Valley. Surrey holds a lot of its historical origins from the Saxon, Medieval and Victorian periods so make certain to keep your home up-to-date by making use of reputable businesses inside the region for your house developments. Double glazing is an excellent purchase if you'd like to reduce bills and keep your own home warmer throughout the year. New house windows are ranked from G, the very least efficient, to A, the most efficient. The more efficient your home windows the more you'll save. Receive the best double glazing companies within Surrey by making use of Quotatis to check quotes. 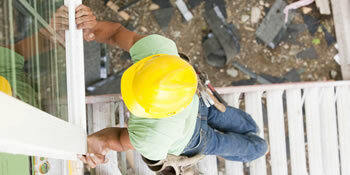 You can be sure of having a trusted and trustworthy firm to complete the work. Arranged visit .....never turned up. However the guy did call the next day and did apologize and offer to rearrange. Arranged visit ....never turned up. We recorded 42,091 requests for household enhancement quotes in Surrey. Of these quote requests the number of replacement windows quotes (type: A graded upvc double glazing, brand new windows, replacement unit windows etc..) was 800. Quotatis were in a position to fit these clients with up to four ideal installers who were available for work in Surrey at that time. Request a free home survey from reputable companies in Surrey. There are many different types of home around the UK for people who have various family sizes and annual incomes. The most popular housing is commonly terraced households and semi-detached properties, mainly because they're more affordable and easier to fit into regions including cities where space is limited. Other kinds of property in Britain include detached properties and smaller scale homes including bungalows and flats. It's essential to add value to your house and enhancements are the best way to do this, whether or not it's with the installation of a conservatory or just cosmetic changes. Regardless of the work you would like completed in your home, check prices from trustworthy companies using our simple service. Most properties throughout the United Kingdom will have central heating of some type, whether or not it's gas, oil or even a biomass fuel. If you don't have central heating, it is likely you employ heaters to keep warm, powered by electrical power. Converting to main heating will likely be far more efficient for your property and you can save hundreds of pounds on a yearly basis. See below just how many houses are central heated in Surrey.